You want to learn the blindfolded method but do you own a decent cube ? Solving the Rubik's cube blindfolded ? You are not dreaming, this is possible ! I am going to present the blindfolded Pochmann method. The method was named after his creator, Stefan Pochmann. Of course, different methods for solving the Rubik's cube blindfolded exist. But this one is, as fair as I know, the easiest to learn. I have tried many different blindfolded solving methods and this one is by far the easiest. It is very efficient for someone that is aware of the Fridrich method and that knows the permutation algorithms. First of all, it is very important to understand how the Pochmann method works. And how precisely the Rubik's cube is going to be solved. Its understanding can be difficult at first but do not give up. Really trying to understand it is doable and it will make the actual solving part very simple. The major advantage of the Pochmann method is that it is fully automatic when solving blindfolded. There is very little thinking involved and the blindfolded solve can be performed with no pause or thinking. If you are simply looking for a method to solve the Rubik's cube, we present two different methods on this website. The first one goes straight to the point and is called the solution of the Rubik's cube for dummies. The second one is much more detailed and shows how to solve the 3x3 cube with many explanations. Let us dive into this Rubik's cube blindfolded method. Let us begin with understanding how the edges will be solved. The main idea of Pochmann blindfolded method is to perform an algorithm that permutes two edges and two corners. But when solving the edges we do not want to mix all the corners. Therefore, when solving the edges, we will always swap the same two corners. If we perform the algorithm an even number of times, then the corners will be unchanged. We will also use this algorithm to solve the edges one at a time. The 2 corners that will be swapped are the ones in URF and in UBR. As a second step of this Rubik's cube blindfolded solving method, we will solve the corners. We will then use a similar theory. We will always swap two corners and two edges, but this time, we will always swap the same two edges. Performing the algorithm an even number of time will let the edges (already solved !) unchanged. If we had to perform the algorithms an odd number of times, this is called the parity case. A very simple algorithm solves this case too. In this section I am going to describe all the algorithms that are required to solve the Rubik's cube blindfolded. One of the main advantages of the Rubik's cube blindfolded Pochmann method is that there is 0 algorithm to learn if you are familiar with Fridrich method. For the edges, I use 3 PLLs of the Fridrich method : The T-PLL, the J-PLL and the Jsym-PLL. For the corners, we will use an algorithm that is very similar to the Y-PLL. These algorithms are all you need to know for Rubik's cube blindfolded solving. No need to learn any other for this Rubik's cube blindfolded solving method. As we have discussed before, we will use 3 algorithms to solve the edges with this Rubik's cube blindfolded solving method. The goal is, on every algorithm, to solve the edge that is located in the slot UR. This UR piece will be called our buffer and it is the one to be solved. Let us imagine this piece goes in the DL slot. The goal is to bring the piece that is in the DL slot on the upper layer. But be careful ! DL is not the same that LD otherwise the edge will be wrongly oriented. You will have to make sure that the color that was on the D face in now on the U face. Performing the algorithm will then solve the case. To bring the DL on the upper layer, we can bring it to 3 different slot. Either UF, UL or UB (because that is the three cases our algorithms will allow us to solve). We can choose whater slot we prefer, the key is of course not to move the corners UBR and URF during the preparation moves. If we bring the edge in UF, we will perform the J PLL, if we bring it in UL we will do a T PLL and if we bring it in UB, we will perform the J sym. Once done, we do the perparatory moves backwards to get back to the initial position. We now have swapped two edges and two corners, in order to solve one edge. A new edge is located in UR so we can start again and solve it. On top of the Rubik's cube blindfolded solving, it is important to count how many times we have performed the algorithms. This will help us if a parity is needed or not. If the number of formulas is odd, we will need to perform the parity algorithm between solving edges and corners. We will do a preparation move L2. Then we perform the algorithm T-PLL and then the inverse of the preparation move : L2. If we had to solve LD instead of DL, we would have done the preparatory move d l' (d = Down move but with two layers, the upper layer being unchanged). Then we perform the J-PLL and then the inverse of the preparatory move : l d'. It is quite easy to instinctively find the preparatory moves for each cubie. With a bit of practice, it will become automatic. To solve the corners we will follow the exact same principle. Our buffer is the cubie ULB. The goal is to bring the corner to solve in RDF by being very careful of its orientation. The color in the U of the ULB corner will be sent to the R face of the RDF corner with the modified Y-PLL. Preparatory moves can only use combinations of F, D and R because edges located in UB and UL should not be moved. As a first step, I really recommend to solve the cube with this method not blindfolded in the beginning. This will help you to master the preparatory moves and should save you a lot of time for later. Once each cubie individually is easy to solve with the eyes open, then try to do each one blindfolded. A good way to practice for solving edges is to start with a cube which has its corners solved. Then you solve the edges with the blindfolded method. If at the end, the corners are still solved, it means that you have not committed any mistake. The same method can be used symmetrically to practice on corners solving. If only one edge is flipped, it could theoretically be possible to solve it with doing a new cycle and two algorithms. With practice, it is faster to do a special algorithm that orients edges. If only one edge is flipped, this means that the buffer will also be flipped at the end of solving the edges. If two edges are flipped, just flip them back with one algorithm. No need to worry about the buffer. For the edges, each cubie of the Rubik's cube should be associated with a code. Of course the cubie "white red" should be different from the cubie "red white". Indeed, the orientation matters and should not be ignored. Once you know 2 codes for each edge (one per orientation), the memorization of the edges will be done by cycles. We start by looking at the edge located in the buffer. We then associate this piece with the matching code, and memorize the code. Then, we look at where this piece is supposed to go and which edge is there. We then find the code for this edge, and so on... Until you find the buffer. The buffer should not be remembered and it will come back automatically. Going through the first cycle might or might not go through all the edges. If all the edges have been visited, then we are good to go ! Memorization is finished and it is now solving time. If not, that means that another cycle needs to be solved. To solve a cycle, you will need to first remember the code of one edge of the cycle (whichever you want, with the orientation you want). Then, keep memorizing the pieces in the cycle until you come back to the first edge of the cycle you chose. Do not forget to memorize it too. So this means that if you only have two edges to swap, you will need to perform 3 algorithms. The first one will swap buffer and first piece, the second will solve the first piece and bring the second into the buffer and the third will solve the second piece and bring the buffer back to where it belongs. Once you know how to do a cycle, keep looking for other cycles. Once you are sure all pieces have been visited, you can end memorization and start solving. This whole approach is exactly the same for solving corners. Our buffer (yellow-blue) is solved. We need to start a new cycle. During the memorization, let us suppose that the first piece I see in the new cycle is in UB. Its colors are White (on top) and Blue (on the back). As it is a new cycle, we can choose to memorize white-blue or blue-white, it is totally up to me. I will choose Blue-White, so it is DR. Then, I will look in the blue-white spot and see which edge is there. I can see it's the piece that is supposed to go in DL. Then I find UB and DR. The cycle is now finished as I found DR again. D2 L2 - T PLL - L2 D2. For the corners, the blindfolded method works exactly the same. Just memorizing two colors in the right order are enough to fully define a corner. Indeed, if we always look clockwise when considering the corners, for two given colors there is only one third color possible. Let us take the corners UBR and URF as example. When we read the colors clockwise for the corner UBR, we can read Blue, Yellow and Red. Depending of the orientation of the corner, we will have 3 possible combinations : Either "Blue Yellow", "Yellow Red" or "Red Blue". The URF piece is Orange Yellow and Blue. So the combinations are "Orange Yellow", "Yellow Blue" or "Blue Orange". Therefore we need to be aware that "Yellow Blue" and "Blue Yellow" are actually two different corners. Scramble : L' U2 R' U' L B' L U' R' F2 U2 L2 F2 U2 F' R2 F L' U2 L' R' U' D2 L R2. The first step is the memorization. Solving the edges : LB LD FD DR BD FR UF RB LU LF FD. Solving corners : BLD UFL URF BDR DLF. To only orient two corners, I usually prefer to do it with the "pure" Pochmann blindfold method. This means that I perform two algorithms : Solving the corner DFR and then RDF. I personally find it more difficuly to correctly do the setup moves to orient two corners. But if you are more confident than me, just orient the two corners. Finally, my complete corner resolution will be : BLD UFL URF BDR DLF DFR RDF. We can double check on the corner solving that there is an odd number of algorithms, therefore the parity. I found these three ways to double-check the memorization with practice. 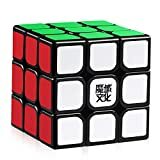 This Rubik's cube blindfolded method allows you different ways to make sure that you are not mistaken during memorization. This is one of the reasons I particularly like this method. One of the safest. The first very important step with this Rubik's cube blindfolded method is to find a code for each pair of colors. This code needs to be learnt and practiced so that it becomes automatic. I started to choose a person for the code. Then I moved to an object. And finally a letter. I find it being a really good choice because most of the times letters group together to make sounds and/or words. This is really helpful and sometimes a single word can help you remember three to four letters at a time. I guess it depends on what you are the most comfortable with. Another good tip to practice blindfolded Rubik's cube solving is to write down the memorization. Then the solving is done looking at the sheet (but not the cube). This will help you a lot to practice the solving aspect. Concerning the memorization, it is really like a muscle. The more you practice and the easier it gets. If you really want to optimize your learning of blindfolded solving, I would recommend to first solve the cube with this method with the eyes open. You need to practice the resolution algorithms until you can solve the cube in under 1 min 30 sec with this method. After that, when you want to start memorization, you can do it in two steps : memorize and solve corners, and then memorize and solve edges. Practice all this a lot. Once every step is done pretty quickly, you can move on to a full resolution. My advice for the full resolution is to memorize the corner and then the edges. For the solve, you first solve the edges and then the corners. So the edges do not really need to be memorized, they can just be mentally repeated a couple of times. Now you know everything about blindfolded Rubik's cube solving, it is time to practice ! Good luck. Did you enjoy solving th cube without seeing it ?May be you feel like you need a better cube now ?